News | | Published: 16:55, Thursday April 11th, 2019. 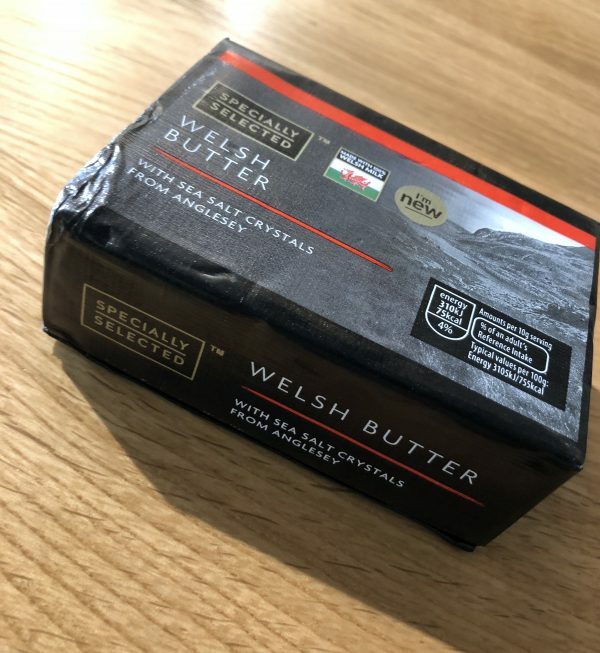 Caerphilly-based Castle Dairies has secured a contract with German supermarket chain Aldi to supply a new premium butter. The deal will see the family-owned business, based on Pontygwindy Industrial Estate, supply around 6,800 packs of the new range to Aldi’s 49 stores in Wales each week for at least 12 months. Castle Dairies has worked with farmers from across the region to develop the new block of butter which for Aldi’s Specially Selected range. Each batch of the butter is hand-salted with sea-salt crystals from Wales and made with Welsh cream. Castle Dairies has been owned and run by the Lloyd family since 1986. John Lloyd, who brings more than 40 years of experience in the field, and his son Nigel worked closely with the Aldi team to create the new product. Rebecca Ross, Category Manager at Castle Dairies, said: “We identified the potential for Aldi to expand their Specially Selected range with a premium offering of butter made in the region, and they really embraced the idea. “They helped us to develop the butter for their Specially Selected range and we’re really proud to see it in stores. Julie Ashfield, Managing Director of Buying at Aldi, said: “Working with British suppliers has been key to our growth.